The National Motorsports Press Association award-winning online home of Dave "The Godfather" Moody. 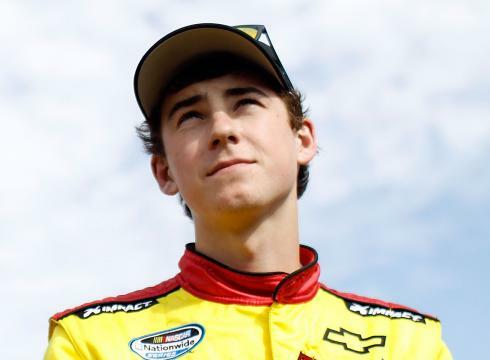 Parker Kligerman will be replaced by Ryan Blaney in the Penske Racing No. 22 Dodge in the upcoming Nationwide races at Iowa, Richmond and Kentucky Speedways. Kligerman was scheduled to run between five and seven more NASCAR Nationwide Series race for the team this season, and could have been in line to replace Sam Hornish, Jr., in Penske’s full-time Nationwide lineup, if AJ Allmendinger does not return and Hornish replaces him in the No. 22 Sprint Cup car. Kilgerman has three career Nationwide starts for Penske Racing, finishing eighth at Iowa Speedway and 12th at Dover this season. He finished ninth for the team at Bristol Motor Speedway in 2011. “At this point, I still have my Truck Series deal with Brad Keselowski Racing, and my goal right now is to win that Truck Series championship,” he said. Kligerman is currently fifth in NCWTS points, with one Top-5 and five Top-10 finishes in nine starts. His best finish was a second behind winner Todd Bodine in the Lucas Oil 200 at Dover International Speedway on June 1. He finished 10th in last weekend’s American Ethanol 200 at Iowa Speedway. Bad move. Parker is the real deal. Parker is one of the few reasons I watch the truck series. Was really looking forward to him moving through the ranks. Also he seems like a really cool guy. Kinda have to wonder about Penske's decisions. Especially if Dinger does not come back and he leaves Hornish in the car. 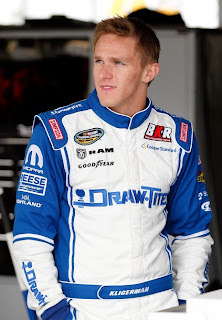 I hate it for both Parker Kligerman and Dakoda Armstrong (another Penske development driver). I don't understand how they keep bringing outside drivers in when they already have talented drivers in their shop. It goes to show you that it is more about who has or can bring in the money than it is about loyalty or skill. I'm really starting to not like the Penske organization and their decision making skills. Good luck, Parker, hopefully another team will one day appreciate your hard work and not continue to overlook you for other drivers. Been watching Parker since the ARCA series, he is a truly talented driver. A perfect personality who was born to drive. Penske is making a big mistake with this one. Parker is their future as a team. Shane Hmiel: "I Know How Allmendinger Feels"
Nationwide Chevy Shocker: Camaro Coming In 2013! Keselowski On Supplement Use: "Man Up And Drive." We love to hear from our listeners! Call the show from 3-7 PM ET, toll-free at 866-PITLANE (866-748-5263). Or e-mail us at speedway@siriusxm.com!